There are over 20,000 homeless students in San Diego County. Let that sink in. The number is still sinking deep for a lot of us here – it’s a reality that we see when we walk from our homes to the office, from our parking garage to the nearby gym or coffee house. 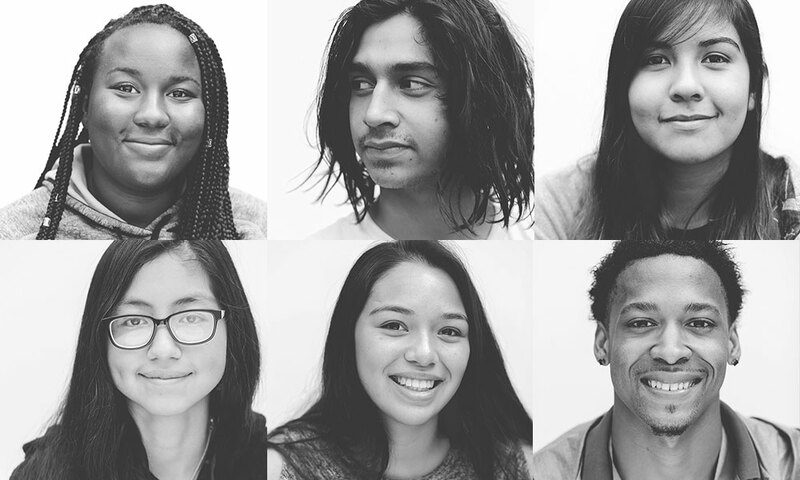 Over the past couple of years, we’ve been wondering how our agency could help these youth thrive for the long run, improving their professional and academic outcomes. This simple realization dawned on us: The best thing we could do is share our passion for the craft – design, content, and technical expertise – with homeless youth. So, in late 2016, we connected with our friends at the Monarch School, a mission-based institution focused on educating students impacted by homelessness. Excited to get started, we wasted no time getting in touch with Monarch to plan out a day that a handful of youth could visit. 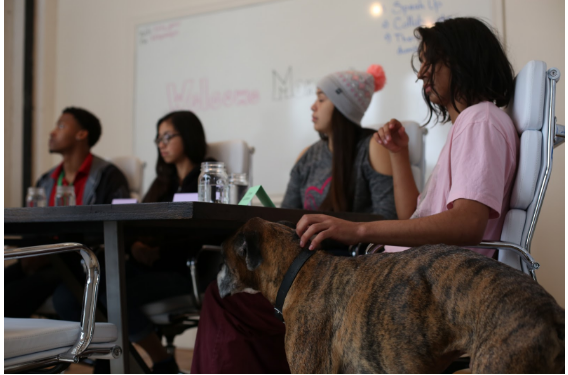 On Tuesday, December 6th, five bright, young students showed up at our office ready to shadow us. What they didn’t know is that we had another idea completely in mind. Rather than letting the students shadow and sit behind us while we worked, we gave them a project: to create a web page that creatively reflects their identity. We started by giving each department – design, content, and development – some time to talk to the students and walk them through our high-level processes. When we finished, we invited the students to create. We let the students write content for their own page. Together, we discussed reasoning behind their thoughts and why they wanted to say what they did. When they were happy with it, we moved into design, choosing fonts, colors, images, and the layout. Finally, we worked together for the development, showing them first hand how the web pages comes to life. During every step of the process, we were inspired not only by how bright these students were, but also how passionately they approached the opportunity. Throughout the day, they became more comfortable, laughed with us, and opened up about their own dreams. They showed us that they were aware of the hard work needed to create their futures and exhibited a fearlessness in the face of this challenge. In the end, the day we spent working with the Monarch students probably helped us more than it did them. It reminded us that as much as the digital experience can help shape change lives, the real impact is made on the ground, in the tangible commitment of service and relationship to others who are just like us.